Tag Archives: Martti Kuoppa launches MK Format! Martti Kuoppa launches MK Format! BIG news today, the boss Martti Kuoppa just launched his own training website. “MK Format”. have you ever wondered how Marrti got so good? There is a method he uses, and it’s intense! Now he no longer competes, he’s trying to give back and help riders take it to the next level. This is an amazing project that riders such as Toon Pakphum and Varo Hernandez are already feeling the benefit from. Peep the introduction below and hit the link below as well. Good luck Martti! “My name is Martti Kuoppa and I have been riding BMX Flatland for 30 years. I was 10 years old when I started riding and by the time I was 13 I had made a decision that I wanted to become a pro rider. I then entered my very first pro competition (Worlds in Cologne) at the age of 17 where I got 10th place. That day I realized that I have a change in making my dream come true and I created my very first system of learning new tricks and preparing them for a competition. One year later, after systematical practice, I entered my 2nd pro competition (Worlds in Eindhoven), where I won the qualification round and ended up 3rd place in the finals. It made me more hungry. Soon after I traveled to Toronto for the Elsinore competition and that weekend changed my life and my pro career started from there. 2 years later I won the X-Games for the first time and I won the X-Games 2 more times making me a proud owner of 3 golden X-Games medals. I also won World Championship title back in 2002 and another one when I made my come back in 2015 in Kobe, Japan (Flat Ark). Below you´ll find my full contest career CV. Besides all the competitions, I have always been highly fascinated by learning new tricks and filming them for a video. 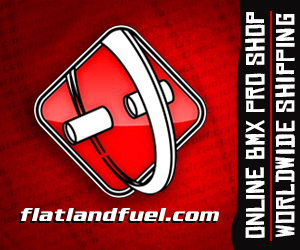 I am no longer competing and I am directing all of my passion I have for BMX into the online coaching I have created for Flatland BMX. I started online coaching Toon 3 years ago and it has been absolutely amazing coaching journey with him and Toon has exceeded all my expectations with his progression, which made me realize that online coaching can be very effective if it is done properly under an experienced coach. I started online coaching without knowing much about how to teach people online and during the 3 years of coaching Toon in the daily basis, I have learned a lot and gained a lot of experience with this type of coaching and I am ready to take in more riders into my online coaching program. I have also been online coaching Varo Hernandez for almost a year now (daily basis) and just got started with one very well known pro rider (anonymous). Besides pro riders, I have amateur riders in my online coaching program; during the past couple of years, I have coached approx. 15 riders in all levels (from USA, Canada, Peru, Spain, Thailand). That has taught me a lot about how to coach different personalities and having that said, all of the coachings I offer are one-on-one style and I do a lot of customizing with each rider because that is the way it works with me. So far every rider has progressed who has started practicing in my online coaching which is a proof, that this method of coaching works, and it works great! To sum up my online coaching service: I am giving the riders I coach all of the knowledge I have gained during the last 30 years of riding. From learning new tricks (basics to bangers) to winning competitions.